I’ll be honest. I couldn’t follow The Husband’s Secret at first. It seemed like two totally different stories. But I’ve read books like that before and they always come together — and The Husband’s Secret did too. I had heard a lot of good about this book – read a few reviews and talked to a friend. I was not disappointed. 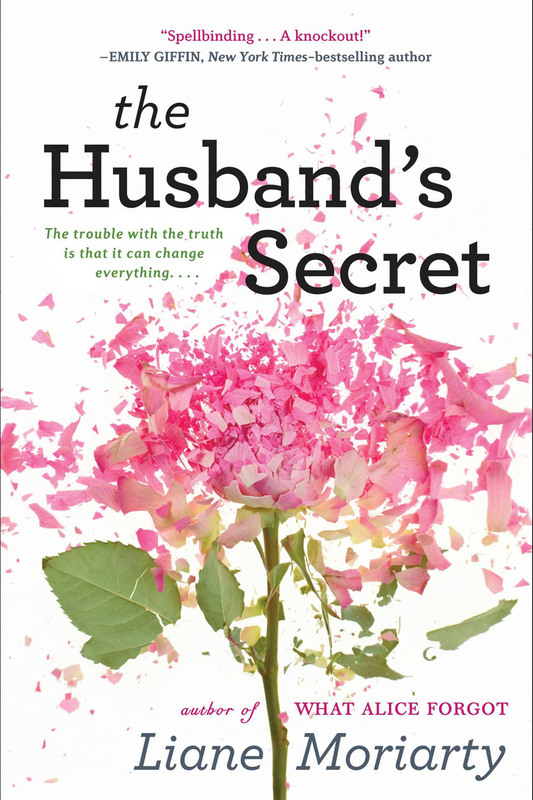 The Husband’s Secret by Liane Moriarty had me interested from the start. A letter from a husband, written long ago, “To be opened only in the event of my death” was found. Should the wife open it? Would you? That’s the question I wrestled with as I read this book. Cecilia is a likable character. To see her struggle, to see her look at the pros and cons is frustrating. I wanted to rip the letter open and to slap her silly at the same time. But I kept coming back to me — would I open the letter? And I couldn’t blame her for any of the choices she made. Then the book jumps to Tess and Will and Felicity. I related to Felicity having recently lost 65 pounds myself. I reveled in descriptions of Felicity like her “brand-new slender neck.” And once again we find a husband with a secret – but one that can no longer be contained. Again I found myself doing some pretty intense introspection. Given a similar situation, what would I do? But the book wouldn’t be much without Rachel – poor Rachel. She’s got a delightful grandson who is the apple of her eye and brings joy to her life. I’ve got some of those too. But she’s also got a daughter-in-law who is a go-getter, a professional woman with a career. That’s not a bad thing, but it adds some angst when the wills of the children are completely opposed to the will of the parent. To watch these situations unfold and to compare my reactions with Tess’ and Cecilia’s was engaging. My heart bled for Rachel. She hasn’t had an easy life. And it looks like that isn’t going to change anytime soon — at least not for the better. I like a book that will pull me in and not let go. I like to be sad that a book has ended and to have a book-hangover. I want to read a book that will make me think about it days, weeks and even months after I have finished the book. This book was all that and more. Many nights I stayed up way later than I should have because I couldn’t put the book down. My husband always figures out the twists and turns of a story right from the start, but I never do. It’s probably no surprise that I ever saw what John-Paul’s secret was. I didn’t have a clue, but there were plenty there. And the ending of the book — man, every book should end like this. You have to read it to appreciate it. I heard that CBS Films may be making a movie from this book. That would be a great idea. Go for it, CBS. I don’t think there’s any room for disappointment with this one.